Kaduna State Government has announced the dissolution of the state Water Corporation’s management with immediate effect. Governor Nasir Ahmad El-rufai made this known on Tuesday via a statement by his Senior Special Assistant, Media and Publicity, Samuel Aruwan. The statement reads: “the governor of Kaduna state has approved the appointment of Engineer Aliyu Ibn Shehu as the Managing Director/CEO of the Kaduna state Water Corporation. “The governor also approved the appointment of Mr. Silas Agai Liman as the Deputy Managing Director of the Corporation. 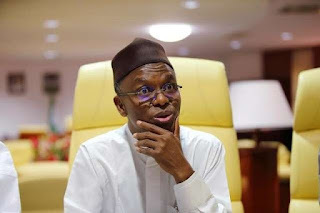 “In addition to approving the new top management, the government has also announced the dissolution of the board of the Kaduna state Water Corporation. “The board is to hand over to the Commissioner of Water Resources who will exercise the function of the board until it is reconstituted. “The government wishes to thank members of the erstwhile board for their services.